Some cities in Europe are simply more popular than others and therefore are more visited by both local and foreign tourists. This also means that they are the most photographed urban settlements on the continent. Here are some of the most snapped cities in Europe. Rome – Rome isn’t the most visited city in Europe but it is the most photographed. The capital of Italy is one of the oldest continuously inhabited settlements in Europe and the world and is also regarded as one of the most scenic and beautiful cities on the globe. It is home to numerous historic landmarks and monuments such as the Roman Forum, the Pantheon, the Colosseum, Trevi Fountain, the Spanish Steps and Vatican City. Barcelona – The Spanish city of Barcelona is described by many travelers as the most beautiful city in Southern Europe. With its unique architecture and vibrant nightlife, Barcelona is Spain’s most popular touristy destination. It is also the second most snapped settlement on the European continent due to the numerous edifices that have been designed by the famous Catalan architect Antoni Gaudi, who’s most notable work is the basilica of Sagrada Familia. Venice – Situated in the northeastern parts of Italy, Venice consists of a total of 118 islands which are interconnected via numerous lavishly ornate bridges and scenic canals. It is Italy’s second most photographed city due to its one of kind architecture, waterways and seascapes. Venice’s most famous landmark is Piazza San Marco. Istanbul – Istanbul was once the capital of the Byzantine and Ottoman Empires. Today it is Turkey’s most popular tourist destination and tends to attract travelers by the number. The city is located in both Europe and Asia and is home to the renowned Bosphorus Channel. Aside of being a settlement with a rich cultural and historical heritage, Istanbul is also the most photographed city in Eastern Europe. Paris – With approximately 45 million tourists per year, Paris is the world’s most visited urban settlement. The city is known for its romantic ambiance, opulent buildings and grand palaces. It is also home to the world famous Eiffel Tower which has become France’s symbol. Nicknamed the “City of Lights”, Paris is the most snapped European capital during nighttime. Monaco – Monaco may be a small country between France and Italy but it is a beautiful one. Known for its sandy beaches, warm weather and luxurious lifestyle, Monte Carlo is the principality’s main and most visited urban settlement. It is also home to La Condamine which is the central district of the city and one of Europe’s most photographed areas. London – The English capital is home to numerous prolific landmarks and has one of the most breathtaking cityscapes in Europe. It rivals Paris in terms of visitors and is undoubtedly the most snapped city in the United Kingdom and northern Europe. So, as soon as your removal is over, make sure that you explore London to the fullest. 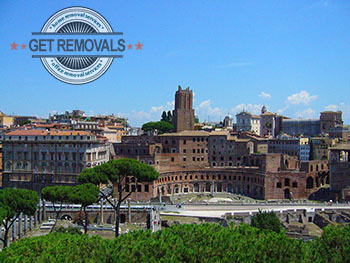 You can ease your move by using the assistance of a professional removal company. Honourable mentions: Florence, Budapest, Prague, Madrid, Munich, Lisbon and Vienna.